Thank goodness this remarkable feature has been granted World Heritage status and can be preserved for years to come. 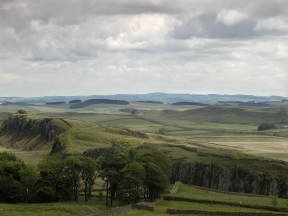 The view of it, snaking along the ridges, especially east from Houseteads or Steel Rigg, is marvellous and to be marvelled at. The whole 80 mile length was completed in only ten years. Originally it was ten feet wide and fifteen feet high, but after the Romans left much of it was removed, especially near villages and towns - handy pre-cut stone for local builders! 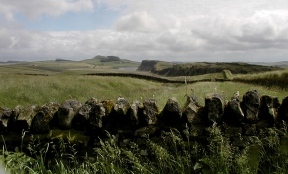 There is a popular walk that runs its entire length, coast to coast, taking in forts, milecastles, tearooms and campsites. 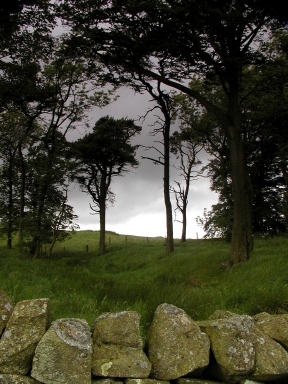 Main visitor sites are at Wallsend, Housteads, Vindolanda, Chesters, Once Brewed and Birdoswald. If this makes it sound touristy, it is not. Mile after mile of wonderful and extensive views, moorland, forestry, lakes and hills. Admission Free. Small charge for car parks. B6318 runs alongside the Wall. 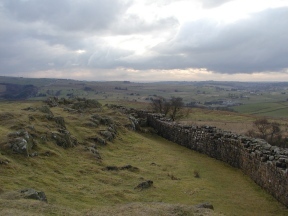 Access from Housteads (NT), Steel Rigg, Cawfields & Walltown. Bus route nearby. The AD122 Bus runs the length of the Wall (seasonal).